Jeff Fuller Designs has done mobile landscape and waterfall set-ups for non-profits such as American Heart Association, weddings, rehearsal dinners, and other major events. Most people did not realize the landscaping was temporary! 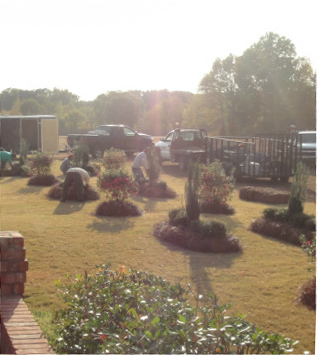 Call Jeff Fuller Designs to decorate/landscape your next major event at 731-630-4739 or to view a sampling of our event set-ups, click here.